Mint and rose gold paper cups. 8 paper cups per pack. 9 oz. 7cm (W) x 9cm (H). 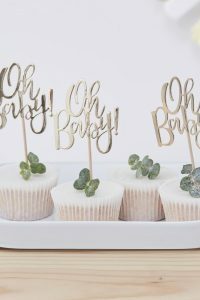 These chic paper cups will add a touch of whimsy to your babyshower! 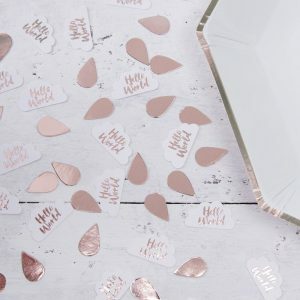 In the gender neutral colours of mint and rose gold, they are perfect for a party expecting a baby girl OR boy! 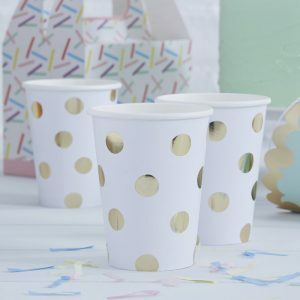 With fun foil stripe they are a trendy take on a classic paper party cup. 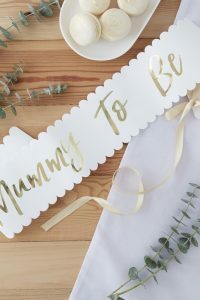 Fill these adorable paper cups with your favourite punch or juice and pass them out at your upcoming baby shower. Or, fill them with sweets and arrange them on your table. These little paper cups will be a hit! There are 8 paper cups in each pack! The cups hold 9 oz. each and are 7cm (W) x 9cm (H). Get mixing those mocktails! 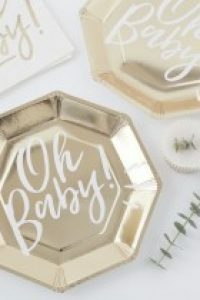 Looking for something else to make your baby shower sparkle!? Check out this pink and gold bunting!